September is here and fall coats, sweatpants and pumpkin-spiced treats are beginning to appear. It’s no surprise that plenty of Saultites claim autumn is their favourite season. Sault Ste. Marie has a ton of activities to experience and sights to see from September to November! One of North America’s most popular train tours, this 114-mile train ride is the perfect excursion for any fall-lover. Take in the amazing rock formations and picturesque forests as you travel alongside pristine lakes and rivers through the Canadian Shield. 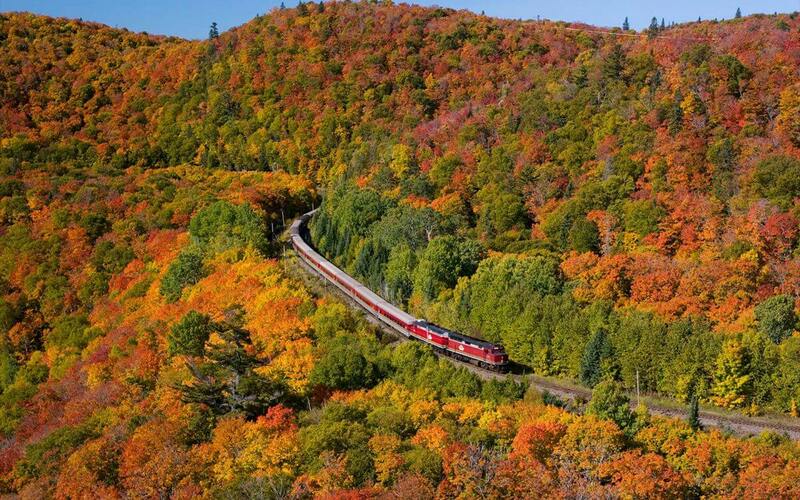 If you’re looking for a fall activity that’s perfect for the whole family, Agawa Canyon Tours is one of our top choices! Be sure to check out their 2 and 3-night accommodation packages for the full experience! Looking for something fast-paced? 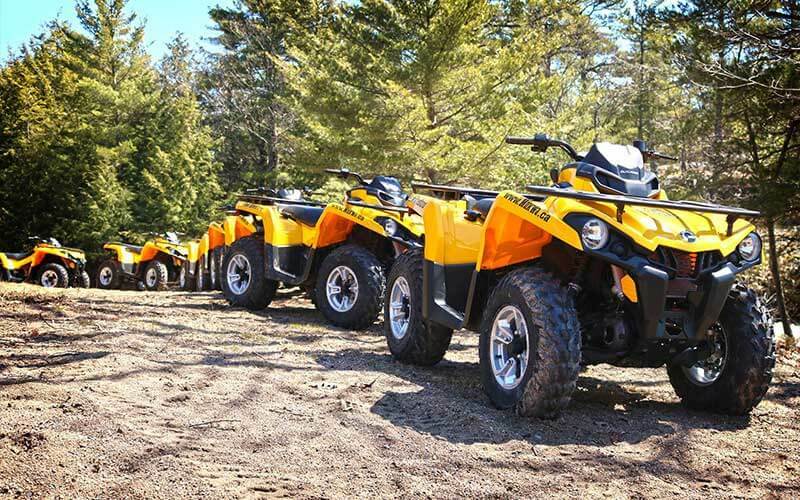 Mukwa Adventures puts you on an ATV and takes you on a thrilling adventure through the Northern Ontario wilderness! Spend a day or a weekend on the trails and kick back and relax after your done in the local lodges. Perfect idea for wedding parties or retreats! A staple in Sault Ste. Marie, almost everyone has visited or has heard of the infamous Robertson Cliffs. 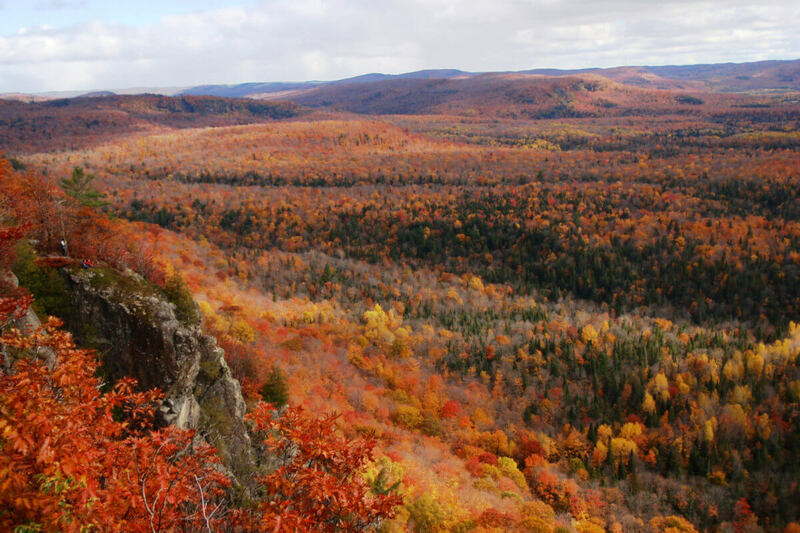 This somewhat challenging 5km hike offers a breathtaking view of the fall scenery. You are free to travel directly up the cliffs to overlook the colourful Boreal forest, or you can take your time and do the trail loop which includes a waterfall along the way. What makes this trail special? 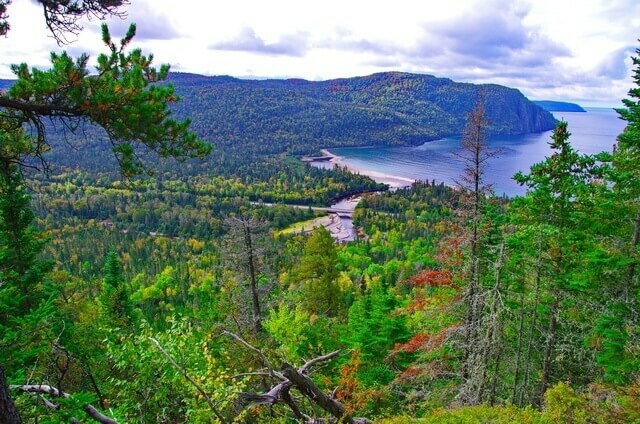 From the lookout you can see to Whitefish Point — this stretch of Lake Superior is also called the “graveyard of the Great Lakes” where the legendary Edmund Fitzgerald sank in a fierce storm in 1975. 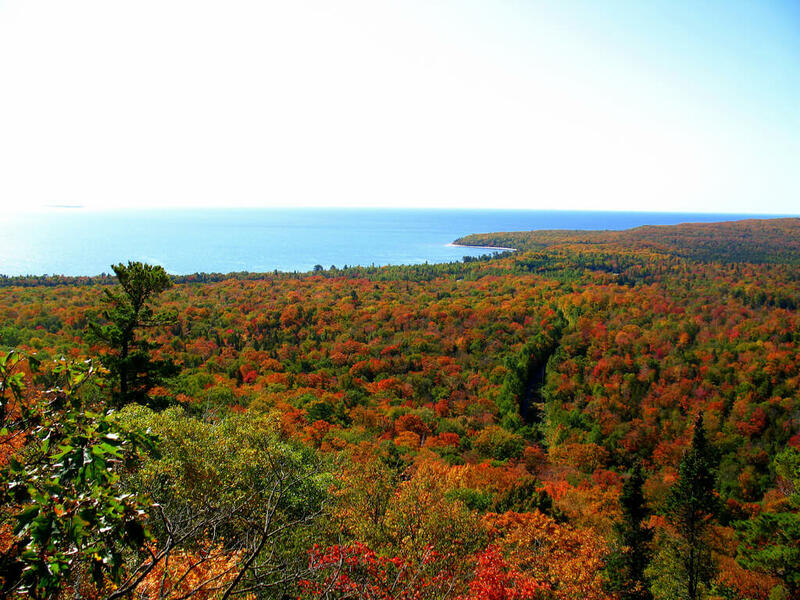 There are two lookout platforms offering magnificent views of Lake Superior and Pancake Bay. If you’re willing to travel a few hours, the Nokomis Trail at Lake Superior Provincial Park is a beautiful spot. There are plenty of viewpoints that overlook Old Women Bay (pictured above) as you make your way up the 4km cliffside hike. 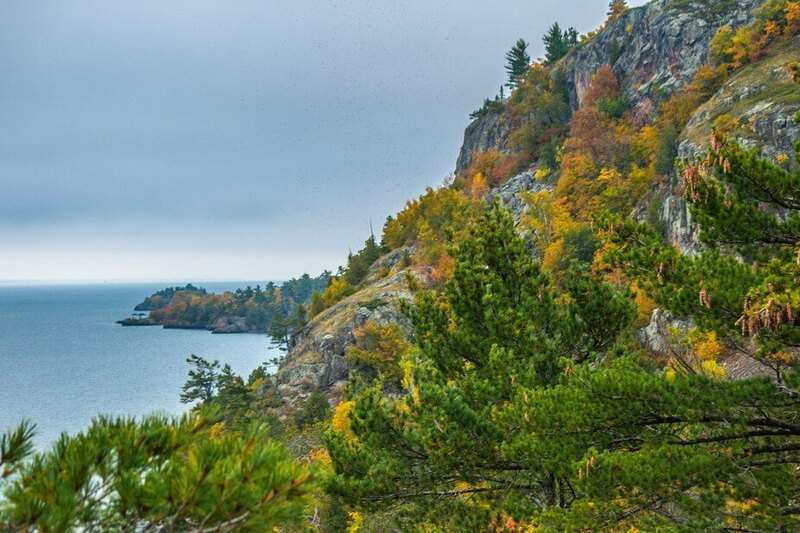 The Nokomis Trail is another great place to view the pretty colours and lichen-covered rock outcrops during the fall months. The Sault also has some awesome places to visit right in town! All of these locations are located about a 5-15 minute drive from the hotel. Bellevue Park is Sault Ste. Marie’s main city park. With a large playground area and plenty of trails, it is a great spot for families. A popular local destination, Hiawatha is home to many branching trails perfect for an autumn stroll. Located in the west end of town, this green space offers a casual hiking spot along the John Roswell Hub Trail. Drive west all the way down Second Line and you’ll hit Gros Cap at the end of the road. Great spot to experience the rocky shoreline of Lake Superior. Sault Ste. 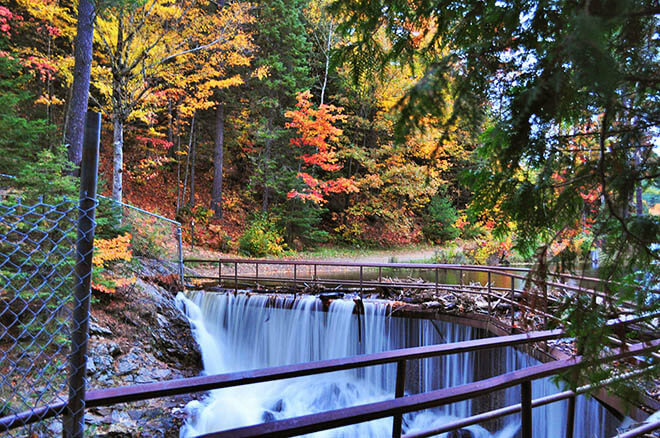 Marie is the perfect destination to experience the colourful fall season in Northern Ontario. Whether you’re planning a ride on the Agawa Canyon or hikes around the area, Quattro Hotel always has a warm place for you to stay! Making plans for the winter? Be sure to check out our Winter To-Do List!